I like to think of myself as a long term pastor. I was in rural PA for 7 ½ years. 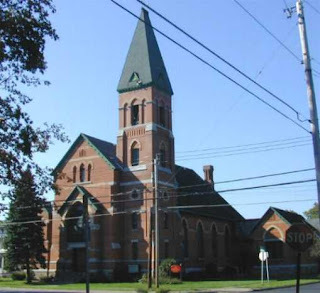 I was pastor at 1st Presbyterian, Oneida, NY for 12 years. We moved to Oneida in 1989 and left in 2001. I was a member of Utica Presbytery before John arrived and after he left. In some ways Oneida feels more like home, except when we lived near my parents, than any other place we’ve lived and I’ve served as a pastor. When we moved to Oneida our son was in 3rd grade and my daughter in 1st. Both our children graduated from Oneida High School. Both still look on Oneida as home. For the first time in our lives we bought a house, which frankly isn’t all that it’s cracked up to be. As a church member not on session let me say that from my point of view the session does not have the right to ask a pastor for his resignation. All they can do is call a congregational meeting to put it to a congregational vote to ask Presbytery to dissolve the pastoral relationship. The kind of thing you describe is killing churches left and right, because the pastor is not the pastor of the congregation. He (or she) is the pastor of each and every member of the congregation. Each and every one of those relationships gets broken when a pastor leaves, and if it happens behind closed doors and the members don't get a say, they quit the church altogether. This is the real reason our churches are dying. Not conflict about doctrine, but broken relationships and lack of respect for the ones that are whole. Been there seen that. Several times too many. Should you have stood and fought? The result could have been worse, but probably not. You might have had to leave sooner, but you might have been able to stay indefinitely too. The trouble is you were the victim of a hit, and the emotional baggage that goes with being victimized sometimes keeps a person from being their own best advocate. In that regard our COMs have been a resounding failure. Except for cases of blatant misconduct and ethical breaches, replacing pastors should be the last resort, not the first. I'd even vote for replacing an entire Session and see if that solves the problem before voting to replace the pastor.